THE Fair Work Ombudsman has recently recovered almost a quarter of a million dollars in outstanding wages and entitlements for a number of underpaid Adelaide workers. The biggest underpayment was $64,000 for an engineering employee at Felixstow. The worker lodged a complaint with the Fair Work Ombudsman after he was not paid redundancy, wages in lieu of notice or accrued annual leave. After Adelaide-based Fair Work inspectors contacted the company and informed the employer of its obligations, the worker was promptly reimbursed monies owed. In a separate case, a manager at Prospect has been back-paid more than $20,500 after being underpaid annual leave and long service leave entitlements. Similarly, the employer rectified the issue voluntarily after being contacted by Fair Work inspectors without the need for further action. The recoveries are among a number of cases finalised recently on behalf of workers in the Adelaide CBD and surrounding suburbs. Common issues of non-compliance encountered by inspectors include underpayment of hourly, overtime and penalty rates, workers not being paid for all hours worked and underpayment of annual leave, long service leave and severance pay upon termination of employment. $5700 for a Cavan manager not paid for all hours worked or annual leave entitlements. 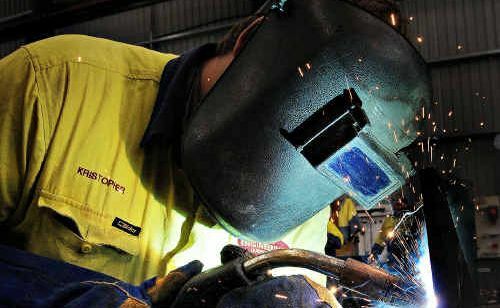 Fair Work Ombudsman Executive Director Michael Campbell says that given all employers co-operated with inspectors and voluntarily rectified their respective contraventions, there will be no further action against the companies involved. "Our preference is always to work with employers to educate them and help them voluntary rectify any non-compliance issues," he said. "However, employers need to regularly review their Award or agreement to ensure they are fully aware of their obligations to their workers." The Fair Work Ombudsman has a number of tools on its website - www.fairwork.gov.au - to assist employees and employers to check minimum rates of pay, including PayCheck, PayrollCheck and a Pay Rate Calculator. Online resources also include payslip and record-keeping templates, a self-audit checklist and fact sheets. The 'Industries' section on the Fair Work Ombudsman's website provides information specifically tailored for employers and workers in the retail, cleaning, clerical, hair and beauty, security, horticulture fast food and hospitality industries. Small to medium-sized businesses without human resources staff can also ensure they are better equipped when hiring, managing and dismissing employees by using free template employment documentation with step-by-step instructions or accessing a series of Best Practice Guides. Employers or employees seeking assistance or further information can also contact the Fair Work Infoline on 13 13 94 from 8am-6pm weekdays. A free interpreter service is available on 13 14 50.